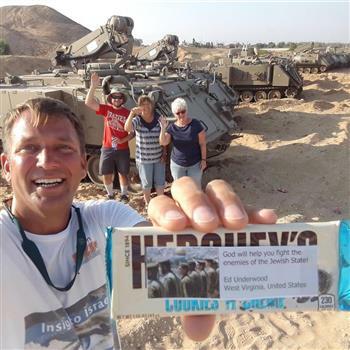 Insight to Israel / Chocolates for Heroes - RUNS FOR TRUTH! Insight to Israel / Chocolates for Heroes is a grassroots organization that has stood with the Jewish State, IN ISRAEL, for over 6 years! Run for Zion gives you the ability to see and support the Jewish State, so run with our teams in the next marathon March 13-17, 2019!